Sarder Shafiqul Alam, Alam, A. This paper attempts to identify ways of making the town of Noapara, a coastal urban centre in the Jessore district in Bangladesh, resilient to the impacts of climate change, with specific focus on the water and sanitation sectors. 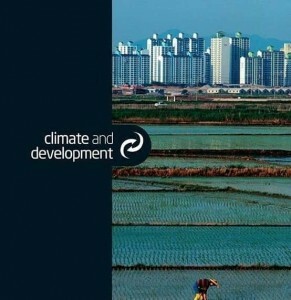 Climatic events can trigger migration from hazard-prone areas to large cities. But if sufficient livelihood opportunities are available, improved resilience of towns or urban centres close to major cities may play a role in diverting migrants from the large cities. The situation in Naopara was investigated to see what investments would need to be made in the town to make it an attractive option for migrants. The findings indicate that Naopara lacks access to basic services such as safe water and sanitation, with only one per cent of households being covered by the municipal water supply. The rest are dependent on hand tube wells and other sources. In particular, poor communities lack access to safe water because they do not have their own land, or the economic capacity to afford a tube well. Additionally, the lack of proper drainage systems, adequate sanitation facilities and waste management facilities increases the vulnerability of those communities during hazards. Climate change-induced hazards such as intense rainfall, cyclones, flooding and salinity intrusion are expected to exacerbate this. In order to address these limitations, the appropriate institutional support from the government, and collaboration among stakeholders, including public-private partnerships and community-based organisations, can play a key role. The preparation and implementation of a city resilience plan could eventually attract displaced people to smaller towns such as Naopara.